Are you using Social Media as a platform to start organic conversations that unite rather than divide? A wonderful example of how social media conversations can affect community perceptions was presented at TEDxAdelaide 2016: Metamorphosis. Joel Bayliss is an advocate and campaigner for Aboriginal justice matters who spurred a groundswell of community activism via social media. When Bill Leak’s controversial cartoon appeared in The Australian newspaper portraying a negative stereotype of indigenous fathers, it struck a nerve with Joel. Like many Australians, he was deeply offended by the cartoon and the message it sent that Aboriginal men were unfit to be fathers. Rather than perpetuate the negativity, Joel posted a photo of himself with his two young children to Twitter accompanied by the hashtag #IndigenousDads. Others soon got behind the idea and posted photos of themselves as proud Aboriginal fathers along with dedications of love for the Aboriginal fathers in their lives, all with the hashtag #IndigenousDads. This peaceful protest spread rapidly through social media, quickly gaining momentum and with it national and international media attention. Joel’s Tweet was a simple act that resulted in an online movement of solidarity and became a central point of conversation for the broader community. A strong and unified message of positivity was sent, effectively countering the negative stereotypes portrayed in mainstream media. 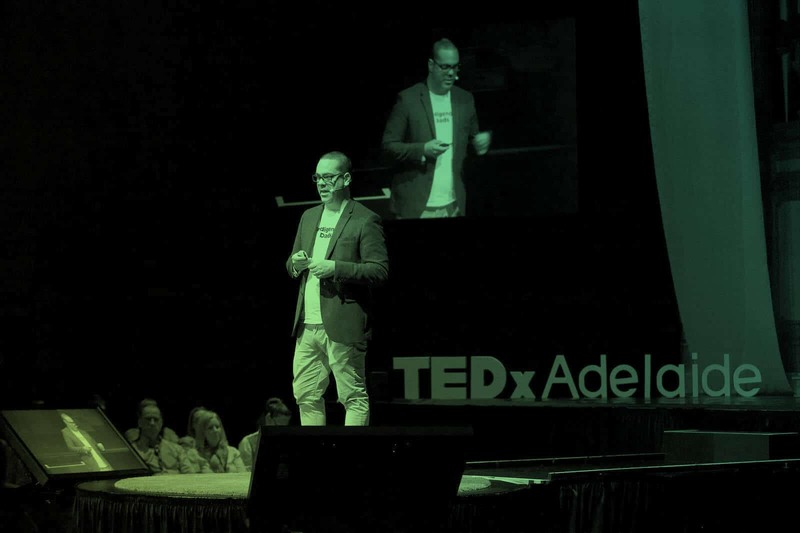 Joel’s TEDx talk showcased an outstanding local example of how the power of social media can be harnessed for positive change. Social media creates the power to build communities, to encourage change, to persuade and open up discussions. Share this article to social using the side bar. Joel’s social post provides a perfect platform to gather support and rally a community around a common cause. In a similar way, business leverages social media as a tool to build communities of consumer advocates around their brands by connecting with people on the things that matter most in their lives. Shared values and ideals connect a brand’s message to the community. Social media allows consumers to interact more deeply with brands than traditional media has previously allowed, enabling people to publicly promote their feelings toward a brand. A simple ‘like’ or ‘share’ or taking up of a hashtag is a strong endorsement of a brand’s message, saying to your followers “Hey, this aligns with my own beliefs. You might like it too.” These public affirmations become part of the portrayal of one’s own identity. Though in a more subtle way, it can be likened to tattooing a brand’s logo on your body. Social media endorsements are public statements showing others what we care about. As we know, people tend to trust what their friends think of a business or product far more than they trust an advertised message that is thrust upon them, so these endorsements becomes powerful word-of-mouth. Identify what your core customers care about and show them that you’re there with them, that your brand genuinely stands for something. It is no longer relevant for products or services to simply shout ‘Buy me!’. Succeed in social media by giving your community a way to align with your values and be part of a shared community, give them ideas worth spreading.